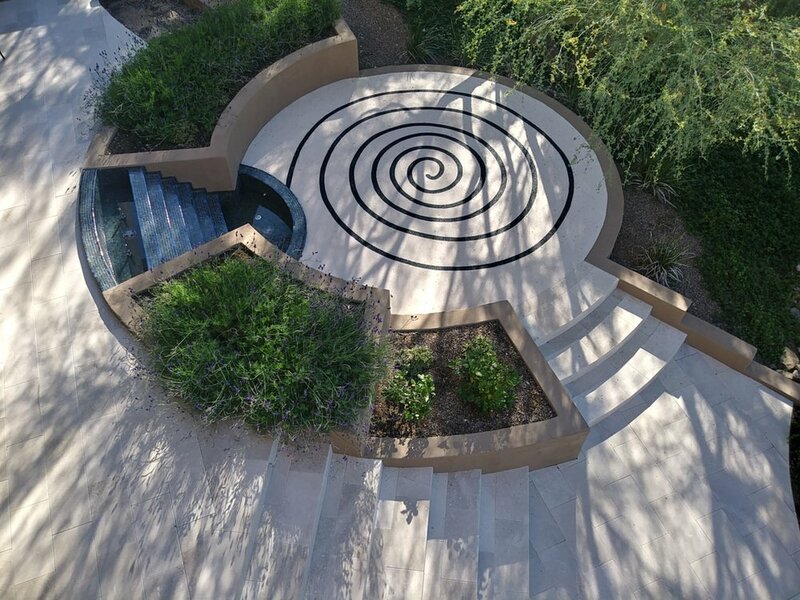 Sunset Landscaping & Pools LLC provides custom designs & installations for homeowners throughout the Phoenix metropolitan area. Our award winning designs will please the most discerning homeowner. We can incorporate every design feature you desire. With over 38 years of experience, our design teams are second to none in the industry. Sunset Landscaping and Pools LLC offers complete customization in landscape installation. 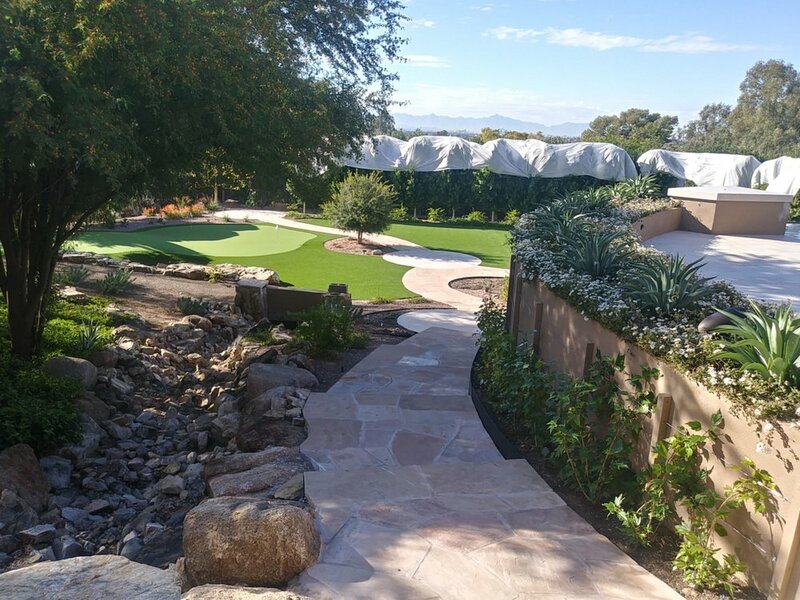 We pride ourselves in creating usable spaces that include custom ramadas, fireplaces and fire pits, BBQ’s, water features, various patio surfaces, and many other options that are both functional and appealing to the eye. Our construction teams provide only the highest quality landscape installations available. We take pride in each and every landscape we install. With over 38 years of experience, our construction teams are second to none in the industry. Please see the links below to view our Project Portfolios - we look forward to working with you! Create your own personal oasis with our personal design team! Our clients love our contemporary designs for their backyard spaces. Have a look to see if this style fits you. Enjoy the beauty of your new backyard bar-b-que while you entertain your family and friends in style. You only have one chance to make a good first impression - beautify your front door with a entry way garden. Beautiful metalwork makes a glorious statement in your yard! You can create private outdoor spaces by implementing beautiful stonework walls sectioning off areas in your landscape. A Ramada creates a visual space in your yard and provides protection from the hot summer Valley sun. It provides a delineation and creates a beautiful backdrop to a specific area. Ramadas can be made from a variety of materials. We are expert designers and installers of hardscaping in your yard--pavers, boulders, rock beds, driveways, walkways, patios, paths and walkways, retaining walls, decorative walls, and much more, we can design a custom outdoor space, just for you. 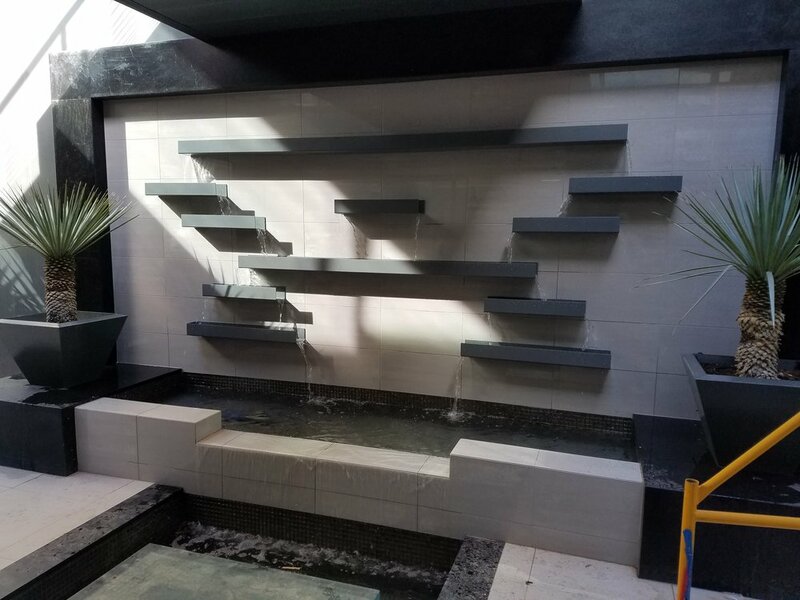 Whether you want a fountain, pool, pond, cascade or waterfall, we can custom design any water feature you desire. You can select the material for your water feature from stone, granite, stainless steel, iron, resin or glass. Your water feature is sure to impress your family and friends. Dan received a BS in Landscape Architecture from Colorado State University and is also an Arizona Certified Landscape Professional. He is a past member of the Board of Directors for ALCA, a member of the Board of Directors for the Arizona Nursery Association and is a founder of the educational SHADE conference. He currently sits on several Boards including a family foundation based in Chicago, Illinois. Before joining Sunset Landscaping & Pools LLC, Dan owned DKS Land Design, his own Landscape/Design Build firm, for 10 years; after selling his company, he worked for ISS Grounds Control for the next 12 years. He currently uses his years of knowledge and experience to develop/design and project manage custom residential projects. Dan has two wonderful children, both attending college at Biola University in La Mirada, California. Dave has been with Sunset Landscape & Pools LLC for over 25 years. 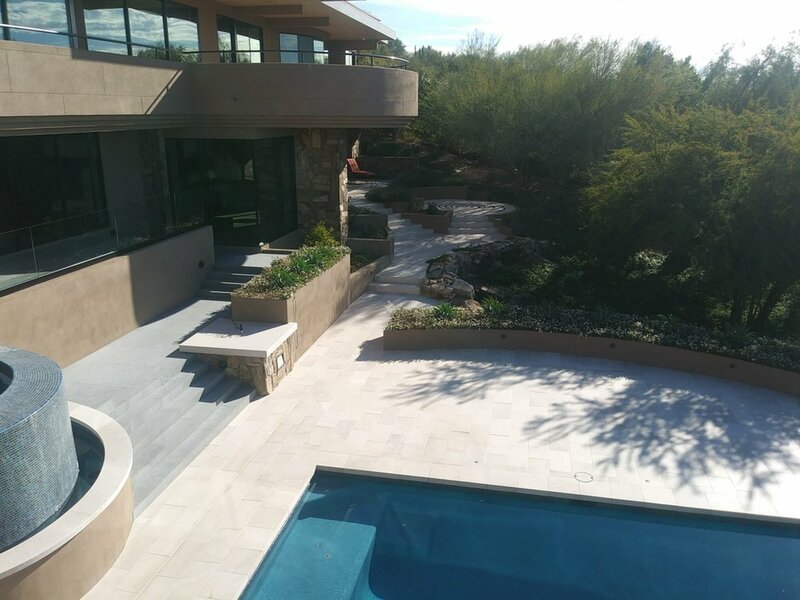 Specializing in residential projects, Dave has vast expertise in pools, ramadas, patios, bbq areas, play areas, and landscape design. 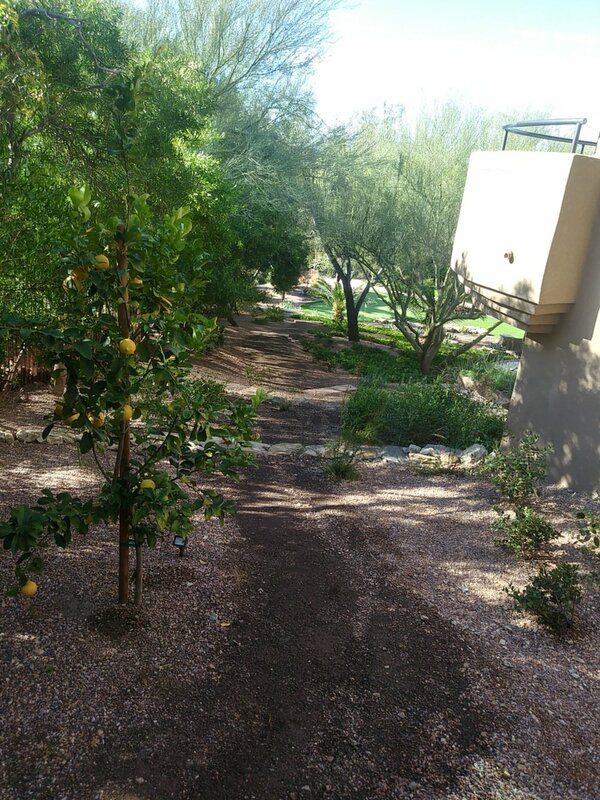 His design projects have won numerous awards for southwest landscaping. Dave specializes in design visualization and spends time finding out exactly what the client wants and expects in a project. He meets and exceeds those expectations with his designs and implementation. Contact Dave today for the yard of your dreams!